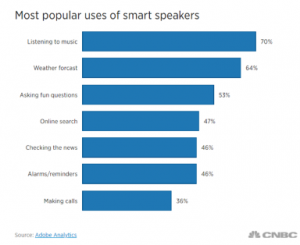 Smart speakers are among the fastest adopted consumer technology ever. Adobe Analytics says that in just seven months, smart speaker ownership increased from 28% to 32%. Further, since most consumer electronics purchases occur in the fourth quarter, the company says it expects ownership to jump to nearly half by the end of the year. The penetration of smart TVs in Wi-Fi homes has grown sharply over the last year, from 30% to 37%. Since virtually all new 4K TVs include smart functionality, we can expect the number of homes with a smart TV to continue to grow strongly. Broadcasters and pay TV operators are beginning to grow comfortable leveraging the smart TV in their core business. Vizio is still dealing with the repercussions of collecting viewing data through its smart TVs without the owner’s permission. It has agreed to pay $2.2 million in damages. It is also working on the way to notify people on their smart Vizio TVs that they may be part of the settlement class. Hopefully, Vizio’s troubles will act as a warning to other device manufacturers not to try something similar. While Comcast is happy to have its app co-exist with other, potentially competitive, apps on an open connected-TV device, Sky Deutschland is carving a different path. 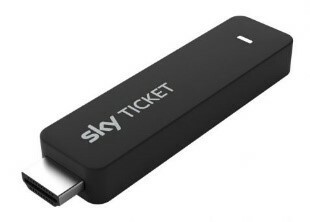 It has just released the Sky Ticket TV Stick, a Roku-powered device that plugs into the HDMI port of any TV. German users can stream all their pay TV content, as well as other streaming services selected by Sky Deutschland, including ARD, ZDF, and YouTube. The advantage of the Ticket TV Stick for Sky is that it can control the experience and prevent competitive services from appearing in the interface. 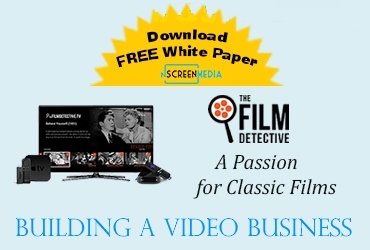 Consumers may not like the restricted environment, but there is a bonus in it for them too. They can cancel at the end of the month rather than being bound into a long pay TV contract. For a condensed version of this opinion piece click here. ~HbbTV is a European standard to allow broadcasters to blend broadcast with Internet-delivered video.